Do you yearn for wide open spaces? There are many things that need to be considered when buying land. We want to provide you with some tips of what to look for when purchasing land in Texas. Visit at different times of the day. You need to see clearly how your land and the community looks both during the day and the night. What seems like a quiet neighborhood during the day may transform into a hive of noisy activity in the evening when everyone returns home. Drive around. Try to get a realistic picture of what kind of traffic you’ll be facing each day. Learn what’s happening. Check local Texas newspapers (and recent archives) for any proposed construction projects. Get to know the Property Owners Association. Ask how active neighbors are in the association, and learn what the expectations and requirements are. Find out about taxes. Ask about past home reappraisal patterns and property taxes, and ask about the breakdown of Texas taxes and city taxes in the area. Many counties have websites showing tax assessments and levies. Do your homework. Check online for reviews about the neighborhoods, the people, and the schools; check everything that matters to you. Check the surrounding area. Some homes are in what the industry refers to as “transitional” neighborhoods. Every home is sold for a reason. Make sure you know that reason. Look into zoning and building codes. Check with City Hall and your neighborhood covenants about property and neighborhood zoning issues. You need to know what restrictions your property may place on your lifestyle. For example, if you have an RV or boat you’re planning to keep somewhere on your property, you need to make sure that’s even allowed. 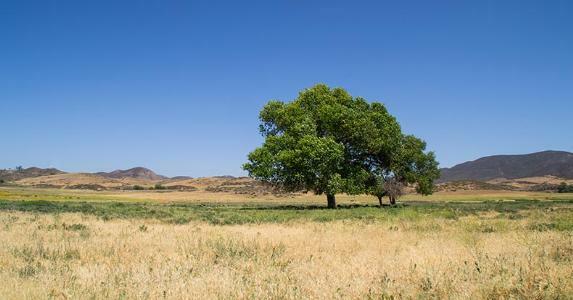 There are a number of special considerations and concerns when purchasing raw land that need to be addressed before, during, and after the process of purchasing your dream property. Ensure there's access to sewage and water. Two things that make land essentially useless are a lack of a septic system and/or a water source. Consider roads and topography. The soil system of your land, and how and if you can reach it by road, also determine its worth. Take topography and transportation seriously in the searching process.y important. Consider electricity. If your property is far off the grid how do you plan on getting electricity to your location? You can pay the power company to string a poll in your direction, which can be expensive, or use alternative sources like wind or solar. What is the topography of your land? Take notice of where water runs, if your land can support infrastructure. Watch for signs of flooding and know soil types and grade. Knowing your soil type also affects your ability to drill and set up a water source like a well, so make sure you factor in the added cost of drilling through something like rock as opposed to a softer soil like sand. Know your rights, and be aware of environmental restrictions. Oftentimes, legal jargon and existing restrictions are difficult to comprehend. Unfortunately, certain restrictions based on zoning and environment can greatly impact he worth of your land and how you can use it. Secure your rights. There are various rights that go into the purchase of raw land. For example, do you have the right to anything found on the land, such as land oil, natural gas, gold, or other valuable materials? Check of any existing environmental restrictions, especially if you are buying very rural land. Waterfronts and wetlands especially have a variety of strict guidelines about use and building, which are limiting for owner's plans. If you are planning on farming in any way beyond a simple home garden, you need to make sure your land is zoned for agricultural development. Are there any dead restrictions or encroachments on the property I should be aware of before purchasing? Begin your search for available land. Now that you know what use you'll put your land towards, and what kind of questions and concerns you should have going in, you can begin the search for available land in your price range that meets your requirements. Go through a real estate agent. This is a particularly good option when your search is somewhere out-of-state or far away from your current residence. Also, real estate agents are required to mention things like easements and highway improvements. An easement grants someone other than the property owner the right to use a tract of land, such as giving neighbors road access or the ability to ride a horse through the land. This limits how the land can be developed, so it's important you are aware before buying. When you do find a potential site, investigate neighboring properties. You'll want to know what kind of properties you border, and whether industrial farming or agricultural practices will affect the value or livability of your land. Nothing will clear up your ideas about what kind of land you want better than actually looking at some properties. You'll immediately realize what appeals to you, and what doesn't and you can weigh the pros and cons of purchasing that particular plot. Hire a surveyor. Even if the seller or real estate agent offers a survey of the land, contract your own surveyor as well. Rural plots can be uneven in size and shape and uninformed buyers or agents might miss certain pitfalls when surveying the land. Know the soil, the topography, the potential value, and where and how you can build. Talk to the Department of Environmental Protection. Environmental restrictions can really throw a snag in building plans, so make sure you know of any going in. The DEA can answer these questions head on. If you plan to install a well, speak to more than one driller and then check with the DEA to see if there are any well water issues in your immediate surrounding area. You can minimize the risk of rejection by going in with a very specific plan, and proving you've done adequate researched and practiced due diligence to assess the land for your personal needs. If you've contacted the above companies, departments, and professionals you're far more likely to look invested in your plans for the land and therefore be approved for a loan for a down payment. You have a right to consult an attorney. Before your purchase is finalized, you have the right to consult a lawyer. Also, any questions that remain murky after your inspection period should be addressed by a legal professional so there is no uncertainty on your part. "The river with its mask of trees cut a twisting path down through the valley. Two miles away he could see, beside a gigantic lonely oak, the white speck of his tent pitched and left while he went to record his homestead. A long time he sat there. AS he looked into the valley, Joseph felt his body flushing with a hot flluid of love. "This is mine," he said simply, and his eyes sparkled with tears and his brain was filled with wonder that this should be his. There was pity in him for the grass and the flowers; he felt that the trees were his children and the land his child. For a moment he seemed to float high in the air and to look down upon it. "It's mine," he said again, " and I must take care of it." - John Steinbeck from "To a God Unknown"
When talking about land loans, one really is discussing something different from what people are accustomed to with home purchases and mortgages. The good news is that there are several avenues along which you can travel to your destination. For lenders, land loans are riskier because the loan's collateral, the property, isn't being used for housing, at least in the near term. That makes it easier for an owner to walk away and leave the lender stuck with the land. Because of that risk, down payments and interest rates are higher for land loans than for mortgage loans. The type of loan you obtain depends on the property, as well as your plans for the land and the timing of construction. Even if you plan construction right away, make sure that the property is legally available for your planned use. Get the property professionally surveyed. The survey will identify the property lines, dimensions, any easements and access. Easements and access will influence the property's value. Access will also influence your ability to get a loan. Check with local officials about zoning. If you want to build in an area not zoned for development, you will need to seek a zoning change to meet your needs. Once you are confident the land can be used as you plan, that's when you seek financing. Unimproved land, or raw land with no plans for improvement, is the toughest kind of property to borrow against. It is basically a speculative investment. Such raw land has no added improvements, such as sewers, utilities, streets or other structures. Even if you don't have any immediate plans for the property, you'll still owe annual property taxes. Did you say "raw land loan"? A raw land loan will have a higher down payment requirement and a higher interest rate than an improved property loan. Some lenders require a 50 percent down payment, but you should be able to find a lender that will require only a 20 percent down payment. A local lender that is familiar with the property may be more willing to work with you on the loan than a lender unfamiliar with the area. Many lenders treat raw unimproved land loans as commercial loans. If you find that's the case with the property you want to buy, the repayment terms, how the interest is calculated and other lending terms will vary from those associated with a residential real estate loan. One strategy for you might be to use the equity in your primary home. Choosing from a cash-out refinancing, a home equity loan or a home equity line of credit, or HELOC, should aim to minimize total interest expense, including closing costs. The flexibility of these loans should give you time and an attractive interest rate while making decisions on improving the property. If you are in a rural part of the country, the U.S. Department of Agriculture offers a program for low-income borrowers called Section 502 direct loans. These loans have relatively liberal lending terms and allow individuals to buy property with plans to make improvements needed to add a house to the lot. Improved property, zoned for your intended use, will be easier to get a loan for than unimproved property. Land purchased with immediate plans for construction is the easiest type of land loan to secure because the lender will be paid off when a mortgage is obtained on the structure. Beyond home equity loans, here's a list of other options you can consider. Seller financing: If you are ready to build, the seller many be able to offer short-term financing. This often happens when builders purchase lots. Seller financing terms differ. It is always good to inquire about this type of transaction. If you do choose this path, I recommend that you have an attorney to represent you. Credit unions: If other options aren't just right, a credit union is a good place to look for a land loan. They often offer competitive rates, but expect they'll limit the size of land financed. Finally, getting loans on land without a plan will be difficult. Land loans are "story loans," meaning the lender will need to understand the story behind the property, including your plans, before they'll be willing to lend. A final option to consider is to work with a mortgage broker.